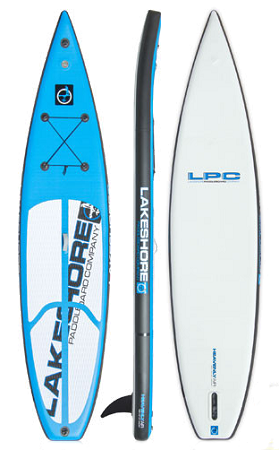 LAKESHORE PADDLEBOARD COMPANY HEAVENLY AIR 12'6"
The most versatile recreational flat-water SUP on the market now comes in a highly portable and extremely durable inflatable construction. The Lakeshore Paddleboard Company HeavenlyAiris a go anywhere, do anything, flat-water design that weighs in at a mere 22 lbs. and can be folded up into a backpack.Now you can enjoy the Lakeshore lifestyle without the hassles of transporting or storing.